For sale Rajkot 9 feet lath machine. It has 12 inch center height, bed weight 13 inch. It has motor and in running condition. 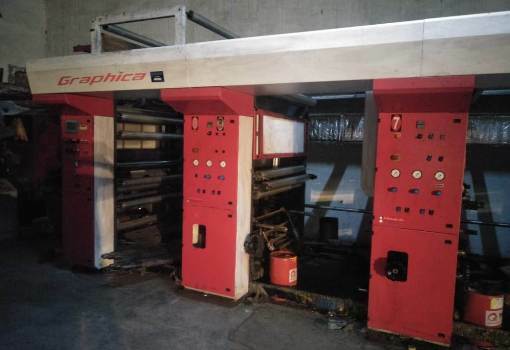 For sale Komori offset printing machine with coater. Year - 1992. We directly import it from USA. Price - Rs. 68 Lacs. We want to purchase 100 ton Indian injection moulding machine which can produce 120 to 150 gram item. minimum taibar distence 12 × 12 or 15 × 15. For sale fully automatic biocoal briquetting machine. Make - Prakruti Machines Bangalore. Year - 2015. Price 12 Lakh. We require HDPE pipe plant with jockey extruder for lining. It should not older than 4 year. It should produce pipe from 32 mm to 160 mm dia output 200-250 KG / hour. We want to purchase 100 ton Indian injection moulding machine which can produce 120 to 150 gram item. Minimum taibar distence 12×12 or 15×15.